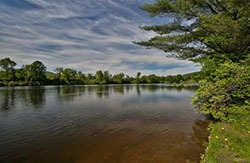 A short drive north from Hanover along US Route 10 provides gorgeous views of the bucolic and rugged beauty of Lyme, NH. Smarts Mountain, one of 12 NH mountains over 2,000 feet, beckons on the northern horizon, promising outdoor opportunities for hiking, skiing, and water sports. A pleasing mix of proximity to wildlife, rich agricultural soil, colonial architecture, and a close-knit community make Lyme an idyllic place to call home. 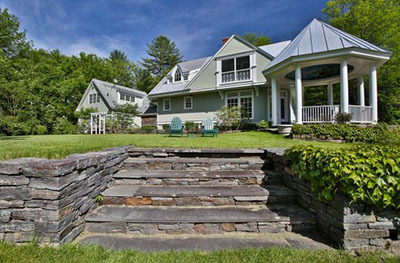 Housing options vary from charming 18th and 19th-century homes around the green to modern mansions overlooking the Connecticut River. Lyme affords an active lifestyle in every season. Families regularly gather at Post Pond’s Chase Beach, which provides life-guarded swimming to all residents from June through August. The Dartmouth Skiway, a short drive north of Lyme Center, offers family-friendly skiing and snowboarding on two mountains of groomed trails for the greater Dartmouth community. Lyme residents enjoy the quiet rural setting but are a quick drive on state roads or Interstate 91 to the employment centers of Hanover and Lebanon, NH. The active community hosts a variety of seasonal events each year including the Pumpkin Festival, Fourth of July celebrations, and Christmas pageants, as well as a wide array of town sports. The Lyme Country Store and Stella’s Italian Kitchen and Restaurant on the green are regular gathering spots. 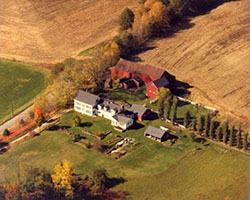 Dowds Country Inn and The Lyme Inn provide lodging, award-winning restaurants, and options for special events. The original and beautifully renovated Lyme Elementary School is the town’s K8 public school. A private K8 school, Crossroads Academy draws students from both Vermont and New Hampshire. Families have the option of sending high school students to schools in either New Hampshire or Vermont, including Hanover High School, Thetford Academy, and St. Johnsbury Academy.